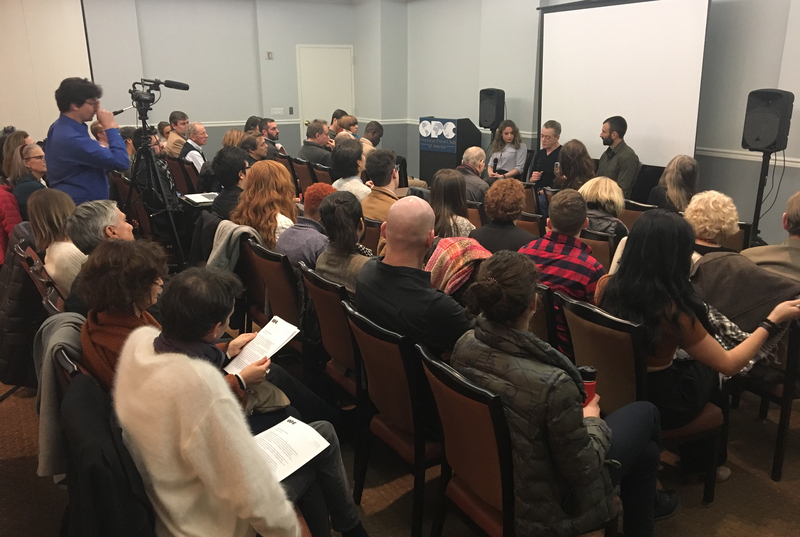 NEW YORK CITY, 15 November 2018 – We packed the house for the screening and panel discussion of the pilot episode of our FREELANCERS with Bill Gentile series at the Overseas Press Club (OPC) of America. My brother Lou Gentile, to whom the film is a tribute, and his wife, Carol, came in from Pittsburgh. Matt Cipollone, the pilot’s associate producer, director of photography and editor, was there with a contingent of family and friends. Marisa Ewing, the film’s narration recording artist, came up from Washington, DC. And as always, my wife, Esther, was one of the driving forces behind the event. Executive Producer Larry Kirkman couldn’t make it because he was in Vermont. 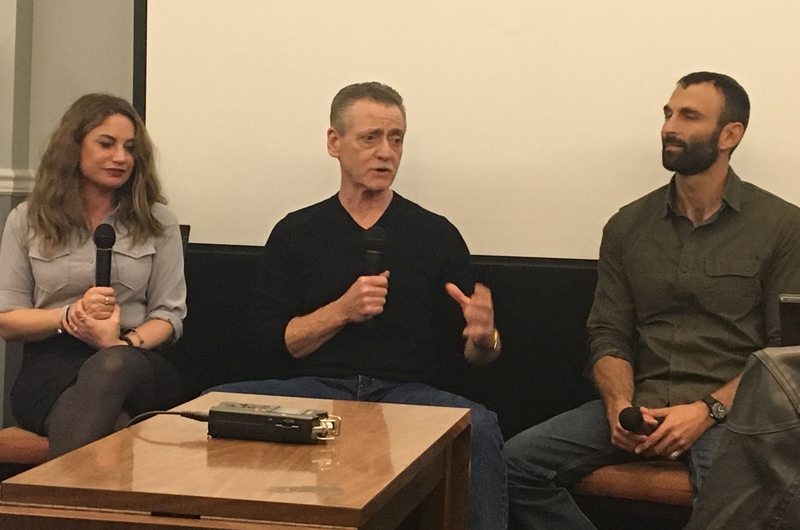 Sulome Anderson and Jason Motlagh did a terrific job fielding questions and engaging with an overflow audience truly interested in the craft of freelance journalism. The audience also included friends and colleagues, some of whom I haven’t seen in decades. Professor Mary D’Ambrosio even showed up with a half-dozen of her students from Rutgers University. 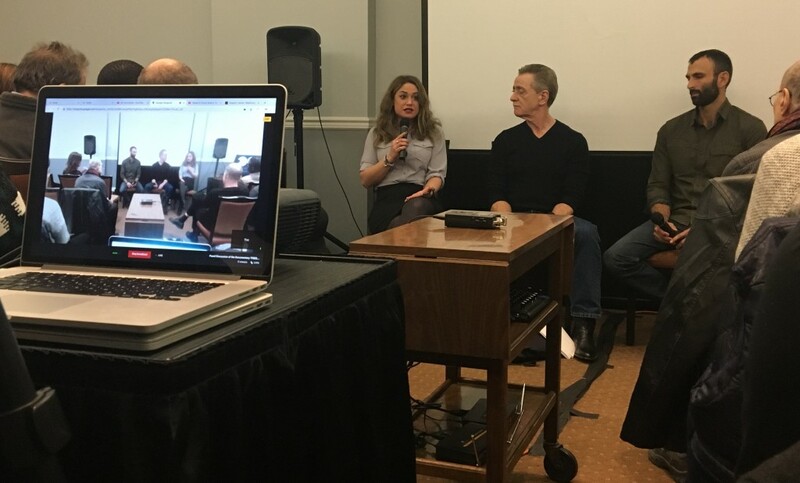 True to the lifestyle of freelancing, Natalie Keyssar had been scheduled but at the last minute was unable to participate as a panelist because she picked up an assignment in Central America. We selected a stand-in for Natalie – and the stand-in got sick and couldn’t make it, either. But the event went on. 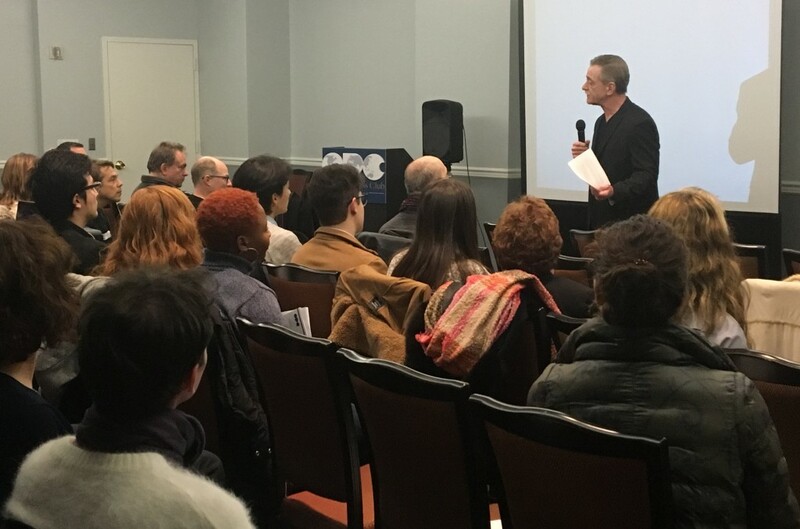 Thanks to OPC sponsors Patricia Kranz and long-time colleague and friend Christopher Dickey for making this event happen. They understand that FREELANCERS is solidly behind the movement supporting freelance journalists working overseas.